On Wednesday 10th October four TY students travelled to NUI Galway to collect special awards for Outstanding Achievement in the Junior Cert Business Studies exam, 2018. 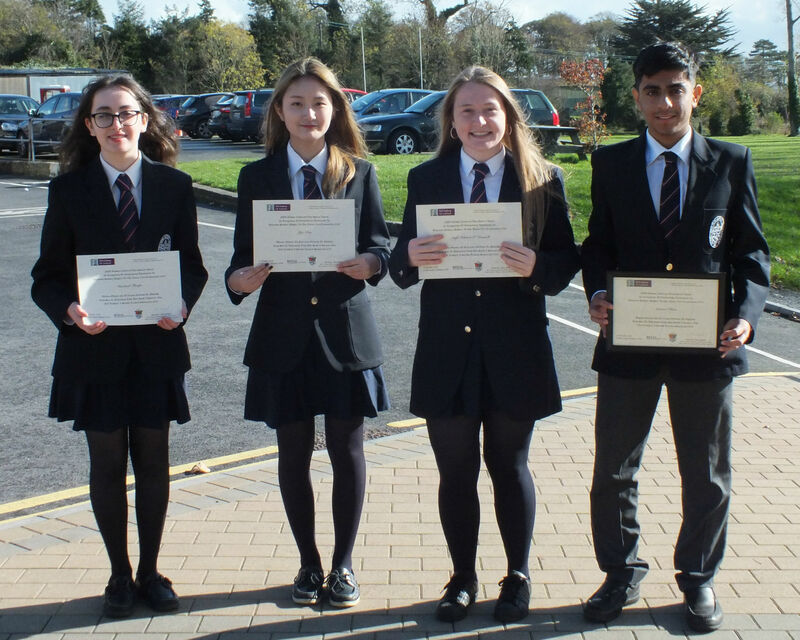 Ammar Khan, Aoife O’Donnell, Yeji Kim and Rachel Thorpe all received an “A” grade in higher Level Business Studies, the only non-core Junior Cert subject with two exam papers. The award was presented by NUI Galway’s College of Business, Public Policy and Law in conjunction with the Business Studies Teachers Association of Ireland. Over 7,000 students sit this subject at Junior Cert level and of these only 8% are awarded an “A” grade. Well done to the four excellent students!